Are you worried about the cash gifts received from your near relations? One should know the tax implications of gifts before making or receiving them. At times gifted money becomes taxable at the hands of the recipient. As per the current gifting provisions in India, if an individual receives cash or other kinds of gifts from persons other than his blood relatives amounting to more than of Rs. 50,000/- in a year, the entire amount will be considered as the said person’s income and is included under the head “Income from other sources” as per the provisions of section 56(2) of the Income Tax Act. Gifts received by a Trust or an AOP, is not chargeable to income tax as “income from other sources”. 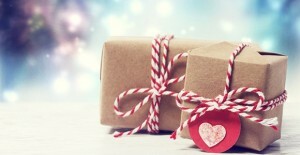 Are all kinds of gifts taxable? All gifts are not liable to be taxed. The assets for which gift tax is levied are cash, immovable properties like land and buildings, movable properties like shares and other securities, jewellery, art pieces such as paintings, sculptures, etc. 4. Gifts received from any educational or charitable institutions. Gifts made in favor of spouse, minor for insufficient consideration is treated as income in the hands of the person making the gift. One can make gift of a movable property to his dependent children who have attained majority and the income earned from such gift will be taxed in their hands which would lower his tax liability. 6. Any lineal ascendant or descendant of the spouse of the person. For example, if X receives a gift of Rs. 1,00,000/- in cash from his maternal aunt, that is, his mother’s sister, it would be exempt from income tax as the maternal aunt is the sister of the parent of the person concerned and would come within the explanation of near relations. If a person making a gift does not belong to any of the above categories, then he is considered as a non-relative and gifts from him would be exempt up to Rs. 50,000/- in a financial year. When gift from non-relatives becomes tax free? Gifts received from relatives as well as from non-relatives can be fully exempt from income tax up to Rs. 50,000/- in total during one financial year. Can one claim deduction or exemption if missed in form 16? November 11, 2015 Manager Comments Off on Can one claim deduction or exemption if missed in form 16? Text of Request made to CBDT for DEFERMENT OF NEW AUDIT REPORT for ASSESSMENT YEAR 2015-16. August 18, 2014 Manager Comments Off on Text of Request made to CBDT for DEFERMENT OF NEW AUDIT REPORT for ASSESSMENT YEAR 2015-16.